India, Indian economy and Indians are in a sweet spot of prosperity and fortune. “If you want to look smart, sound intelligent and be called a visionary, do what the westerners (especially Americans) do”. This is what influences the thought process of the common people at large and economic pundits in particular across the globe. There is nothing wrong in Google search, MS office and social media use, and Apple aspiring generation to believe it as these advanced countries have genuinely earned and maintained this reverence over last fifty years by dint of their strong commitment to growth. Today they are the largest, most successful and most innovative economies. However, this belief system might get challenged. A deeper plunge into the global history will give a clue that the world of fortune and wealth moves in cycle and shifts in some pattern from one part of the globe to another. Once India had commanded similar envy as the largest economy of the world for over 1000 years between 1 AD and 1000 AD, even later by 1500 it was second largest with a share of 24.5% of world’s trade as against 25% of the then largest economy of the world. But, the fortune turned around 1700 when India`s share of world income collapsed from 22.6% to as low as 3.8% in 1952 and then to 2% at present as against 19% of Europe and 21% of US. Will the history repeat itself? Yes. The debate is more on ‘when’ than on ’whether’. Several data points suggest that this shift of global economic power away from the established advanced economies has already begun. As per one estimate by PwC, which is largely in consonance with studies by various other prestigious research firms, China and India are likely to emerge as the 1st and 3rd largest economies respectively in the world by 2028. In fact, in PPP terms, China has already emerged as the largest in 2014 and India, too, is gearing up to overtake EU by 2044 and US by 2049 to become the 2nd largest economy in the world with a GDP of over $42 trillion. This – India overtaking the US- can happen much earlier than the above estimate in the context of the favorable tailwinds that the democratic India enjoys in the form of demographics, investment potential and a vibrant economic engine. China’s success story has proven that the political will and manoeuvring to accelerate investment in physical infrastructure, human capital and improved productivity with the support of technology, R&D and innovation can make the inevitable happen much sooner than later. The above data bespeaks the gap between the two largest countries of the world as well as the potential of catch-up growth potential for India. It all depends on how one looks at these numbers. Though any projections for such a distant future always carry high degree of uncertainty, still, most of the revered predictive models of economy suggest that average growth rate of India should remain stronger than all of the large economies including maturing China over next 35 years, largely due to its younger population and greater scope for catch-up growth after reaching the critically significant per capita number of $1500 which has had a logical leaping impact on all the economies. As India is all set to emerge as the fastest growing large economy and restore its numero uno top two economic positions in the world, a patriotic Indian heart with a knowledge of the history of the country fears and prays that the glorious history of India should definitely repeat itself, but with a big difference. This time, the benefits of its good fortune should not be exploited inhumanly by the foreigners at the cost of the native Indians. No twenty-one year old boy like Alexander, the Arabs, Turkish, Mamluks, Khiljis, Tughlaqs, Mughals, Portuguese and Britishers should look at this country as a precious but weak bird of gold (Sone Ki Chidiya) which can be prisoned and exploited at will for the narrow and self-interest alone. We at Narnolia, as one of the leading research and advisory firms, take up this challenge, as a part of our corporate social responsibility, to spread awareness amongst the domestic investors of today and tomorrow about the unprecedented golden times of the country and the most suitable ways to contribute and get benefits out of this growth story. So far, unfortunately, foreign investors have largely been the major contributors as investors and beneficiaries of the first leg of growth of India but no more. We welcome their participation but Indians have all the rights to be the first. Yes, they need to be ready for it both psychologically and financially. 1. In a country of 125 crore people, over 60 crore are illiterate. What is even more disturbing is that a very high percent of those who are by definition literate are financially illiterate - largely because of our faulty education system where nothing is taught about investment and money management. 2. The wealth of top 35 individuals is more than the combined wealth of bottom 80 crore Indians. All those who are at the top are there because of equity and none at the bottom are there because of equity. 3. Despite this glaring fact, only 1.5% of people are exposed to equity as against 10% in China. Just around 3% of India’s household savings are exposed to equity as against the long-term average of 45% in the US. 4. The larger part of the investment is speculative and short-term in nature and the interests of advisors and investors are not aligned. 1. During last two years, domestic inflow has outpaced foreign inflow. The total non-promoter, non-institutional domestic investors’ investments in BSE 200 is now Rs. 323 crores as against Rs. 303 crores by FIIs. Compulsion on AMCs to invest .02% of their corpus on investor awareness has also played an important role. 2. Most of the recent inflows from domestic investors are more stable in nature as large part of it has come through SIP, NPS, PF and insurance. This should provide greater stability to the market. 3. Demonetisation has taken off the shine of real estate and gold which were drawing a significant part of the investment not because they were considered the best avenue of investment, rather because of their ability to absorb the black money. 4. Public trust in Institutions and policies has increased over the years. 1. Conferences and con calls: We have organized hundreds of conferences all across the country. We were amongst the first few to have raised alarms on real estate, interest rate, silver/ gold top out and equity bottom out signals. 2. Student Awareness programs in various schools, colleges, B-Schools and ICAI, ICSI etc. 3. UpbhoktakeDwarTak campaings in 2005, 2015 and 2017 wherein each of the Narnolians reach out to various sections of the society to educate the investors about the simpler ways of understanding and investing. 4. Social media and other initiatives: The world-class research team of Narnolia engages with the people to educate and resolve their queries on a real-time basis. 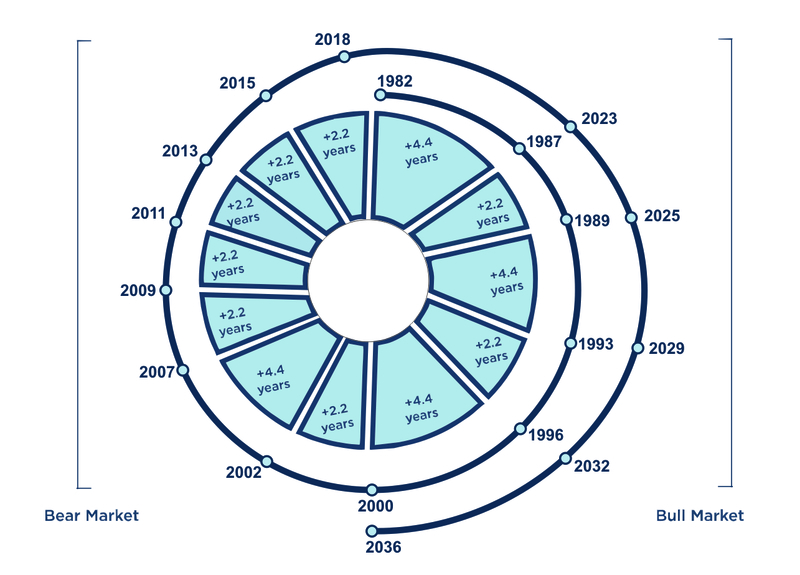 We believe that the first 17- 18 years of the next 35 years and first 4-5 years within that first 17-18 years may have the most significant and far-reaching impact on long-term return on investment of all the investors. Our team of experts has invested a lot of time and resources in developing various modules and mechanisms to help the investors to help themselves and be the first in reaping the benefits of unprecedented India growth story. Invest some time with us. Wish you all Happy Investing! Krishna N Narnolia is the founder and CMD of Narnolia Group of Companies. Respected and widely known in this industry for his in – depth work on India Growth Story in general and brokerage industry in particular, today, he is one of the most sought a..Krishna N Narnolia is the founder and CMD of Narnolia Group of Companies. Respected and widely known in this industry for his in – depth work on India Growth Story in general and brokerage industry in particular, today, he is one of the most sought after speakers and columnists in the field of investment.